NetEnt presents to you the feathered meta-humans which with their superpowers will help you get to the wildest payouts. 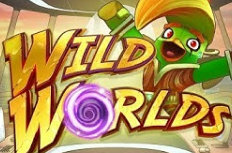 Wild Worlds is the new slot release, which is packed with action, features, and an incredible narrative. You will enjoy every bit of it. 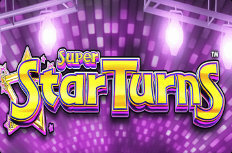 Barcrest has a new slot release, called Super StarTurns. As you may gather by the title, it is a slot inspired by the TV game shows that used to be really popular in the past. The game offers several special features, and quite the payout potential if you manage to go through all the bonuses. 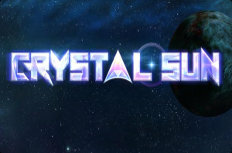 Play’n GO has a new slot release called Crystal Sun. The slot was originally called Starblast, but because it seemed really similar to the iconic Starburst by NetEnt, the developer has decided to change its title, as well as the symbols present on the reels. Now, we get a game that still gives you the Starburst feel, but it has its own qualities. Blueprint Gaming has a new slot release, one inspired by the football club Celtic. 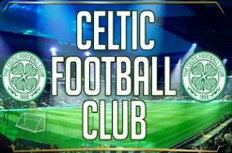 Titled Celtic Football Club, the slot will present to you the activities of the club, their trophies and star players, and will give you plenty of chances to win great payouts throughout the action-packed gameplay. 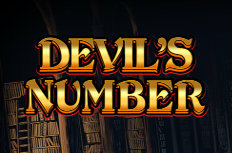 Red Tiger Gaming has a new slot release called the Devil’s Number. 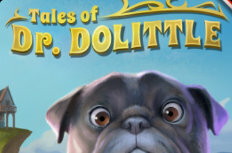 The slot is filled with special features and devilishly engaging gameplay, and a theme that is presented magnificently. The theme is not a bright one, so get prepared for a lot of creepiness, because as you spin the reels, you’ll feel chills down your spine. 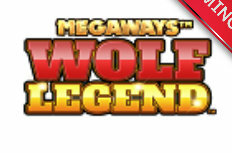 Wolf Legend Megaways is the newest slot release by Blueprint, who has once again borrowed the Megaways mechanics by BTG. It is a slot that features an interesting theme, one that some might even find scary, but interesting anyway. The game has a huge payout potential, so stay tuned and discover more about it. Playson has a new slot release, one that features a simple, classic theme but with special features that add a lot of excitement to it. You will be dealing with a 3-reel slot that has 27 ways to win. 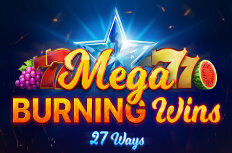 Contrary to most classic slots, you will be benefiting from special symbols and features, to get to the maximum payout potential of Mega Burning Wins: 27 Ways slot. 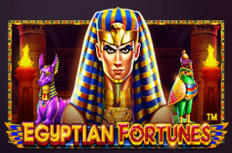 Pragmatic Play's newest slot release Egyptian Fortunes will take you to the dark, mysterious Egyptian temples. 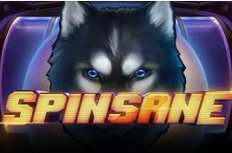 You will enjoy feature-rich gameplay, and you will particularly like the new feature implemented by Pragmatic Play, which gives you additional spins without having to pay for them.